Here is what we discuss on this Podcast! Do you think cable providers will change or will online streaming take over? Ok I'm going to basically rant a little bit here. . . It states that 3 teens have been arrested for "Violent GTA 5 Robbery". However if you read the actual article you'll learn that it is 3 teens that attacked this one man and stole a watch, a mobile phone and a copy of Grand Theft Auto 5. So why is it not for "Violent Mobile Phone Robbery" or "Violent watch Robbery"? Every time a violent video game comes out we get this same Bull from the media. The Video Game industry may not be huge but it's here and I can only hope that it continues to grow and providing more and more jobs. Why is it that we can have a ton of action and horror movies and everything is ok but we need to treat video games so different? Games HAVE a rating systems just like movies, if parents don't enforce them, that's their problem. I would argue that the rating system in video games is even better than that of movies, on the back of every box you can see what the rating is and you can see why it got the rating it did. Just takes a minute to look at, not even. But my issue right now is with the media, they are always trying to find a way to make something sound more important than what it really is so that they can get more views and therefore more money. Had this story been about the kids stabbing this man to steal a watch, a phone and some cash it would have never made it online, but wait, they also got GTA 5 out of it, oh, no, now it's worth something, now people will care! I'm not even a fan of GTA games but I know that MILLIONS of people play those games every year, if video games were really as bad as we try to make it sound, we'd have a lot more problems. But no, "Man gets stabbed and Robbed by 3 teens" just doesn't get you the views that adding GTA 5 in the title will. There were a lot of people getting this game this week, I would expect more cases of people that got robbed that happened to have their game with them. I have it in my bag right now because I forgot to take it out at home, I guess if I get mugged today it'll be because of the game. . . .
Ok so yesterday was new iPhones day and the fact that I said YESTERDAY and I'm writing this the next day should tell you just how excited I was about the whole thing, but really, who gets excited about the S variant of an iPhone anyway? We already know it's going to be basically identical to the previous one. It's going to be faster with an upgraded CPU and it's probably going to have some new feature that the previous one doesn't have. This is basically what we did get. 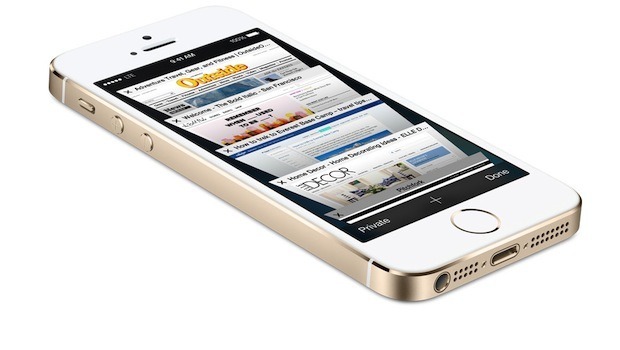 It no longer comes in black or white, now it's silver, space gray and golden. As expected, it's twice as fast as the iPhone 5 with it's 64bit A7 CPU. Just like the Galaxy S4 it has a chip inside to help keep track of how much you walk and other fitness stuff. They are going the HTC way with the camera, they didn't mention how many pixels but it looks like it's probably a 8 Ultra Pixel camera, just like HTC they mentioned that instead of going with more Megapixels they decided to go with larger pixels, so, Ultrapixels. The main difference here is the fingerprint scanner on the home button, you can now unlock the phone with your fingerprint. Personally I don't really care about the feature for locking and unlocking the phone, however, if they make this available to developers so that we could use it as our password for other applications, that could certainly be cool. The prices are the same as usual so I won't even cover that. This is the rumored Plastic iPhone. The back is made of plastic and it comes in several colors. 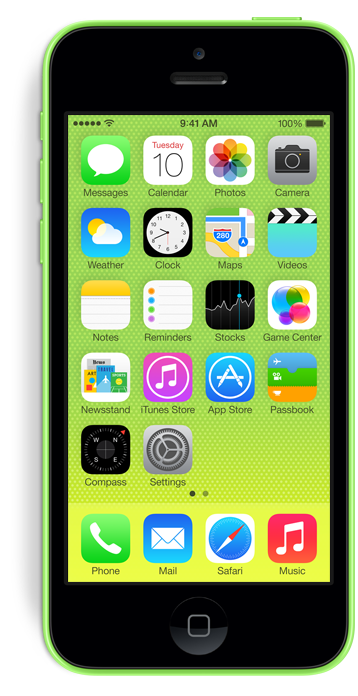 Supposedly the background in iOS7 will match whatever color phone you have but I really hope you can change that. We used to think the C stood for Cheap, but it turns out, it's not as cheap as we thought it would be. Basically the iPhone 5C is $100 cheaper than the iPhone 5s. 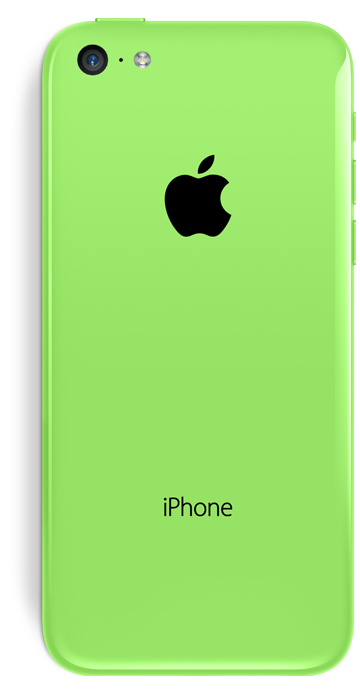 This wouldn't be so bad if the iPhone 5c was just a plastic and colorful iPhone 5s, but no, the iPhone 5c is basically the iPhone 5 with a plastic casing. 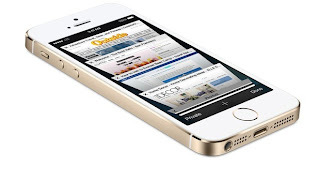 Apple will no longer be selling the iPhone 5, it will sell the iPhone 4s, the iPhone 5c and the iPhone 5s. My question is, why would anyone want to buy the iPhone 5c? Think about it, when you pay $200 for a phone and do a 2 year contract you are really paying about $650 for that phone. Remember that part of your phone bill goes towards paying for your phone. If you only pay $100 for that phone and doing a 2 year contract, you are really paying around $550 for that phone. So if you are paying $550 for something and you could get a MUCH better one for $100 more, wouldn't you want to pay the extra $100? When you just see it as $200 vs $100 it does seem like a huge difference, but when you think about the real amount that you pay, it just doesn't seem worth it to got with the 5c.